It will be a while before any of these enter service in Plymouth. The step entrance Darts still have a while left before they are taken out of service. Cant wait to see these in the new livery though. I saw one stripped off paint in the paint shop this week, I can't see the others in the depot though. Will there be a date for them to enter service or are we looking at months? There were 4 stood outside the front this afternoon, so could be the ones that have come doen, I can't wait to see them in livery and where abouts they go! "2 of these were parked in sailsbury depot today not sure if its a stop off point en route to plymouth"
Go South Coast are due 25 IIRC for the Events fleet. These have been parked at the back of Milehouse depot for a couple of weeks now!!! They were to the rear of the tram sheds!!! I still prefer the East Lancs body to the Plaxton. 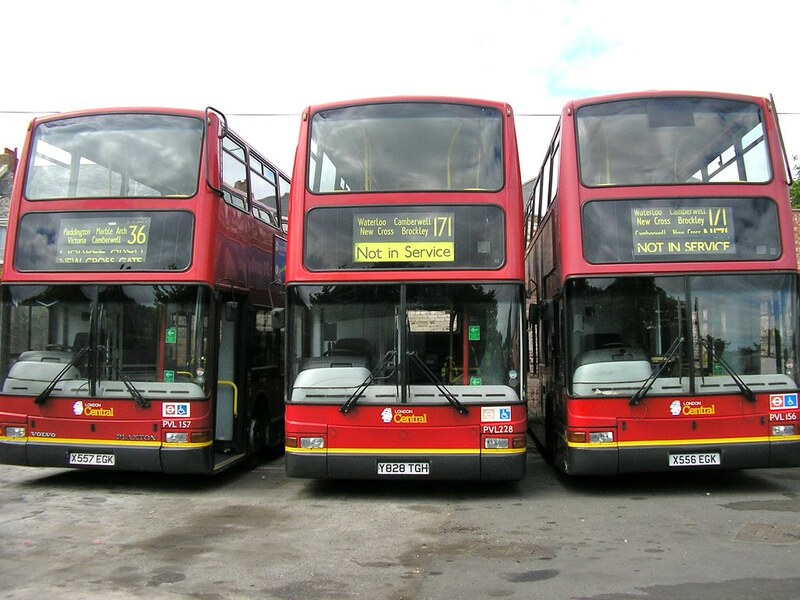 But they will look better in the new Citybus livery!! I for one am so glad to see that this 'new' intake of double deckers for PCB are Plaxton President bodied vehicles. I am no fan of East Lancs whatsoever. Now in Plymouth it's virtually all we've got....... Oh for the heady days of all those ECW bodied vehicles !! The few President bodied deckers running for FDC are a breath of fresh air compared to the utility buses of 'wartime dimensions' that we call East Lancs. Still thank god we've no Wright bodied double decks here.....yet ! !